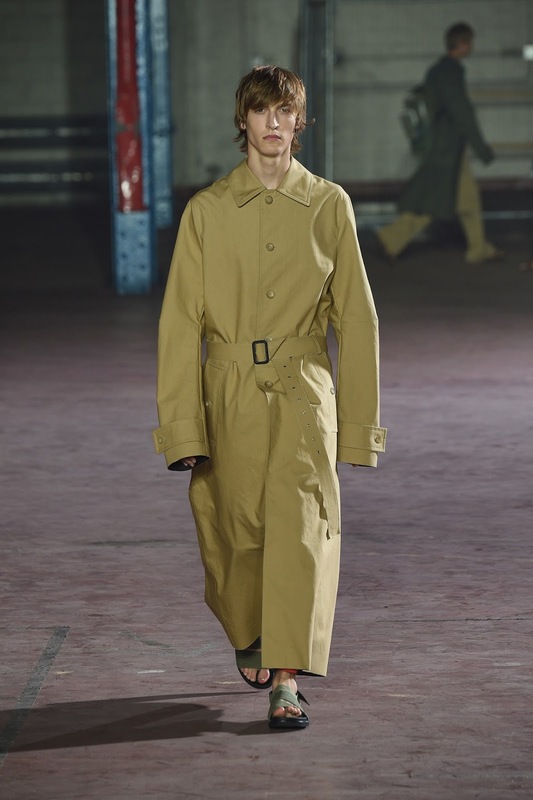 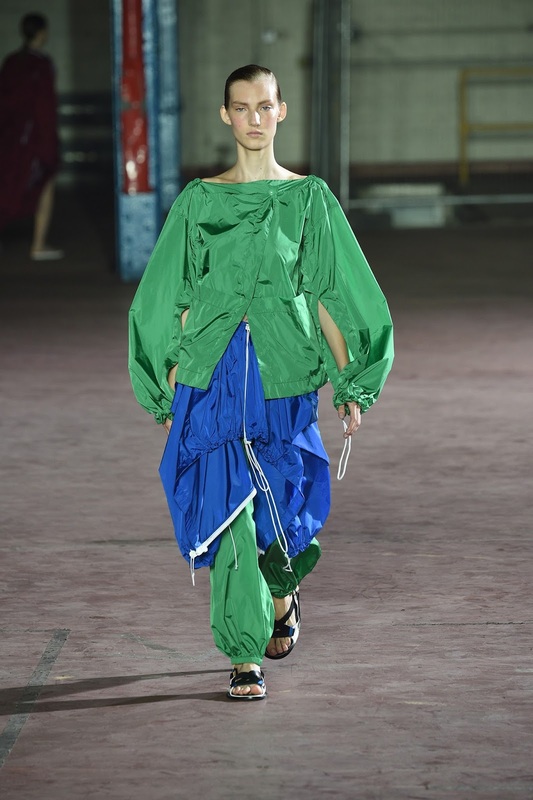 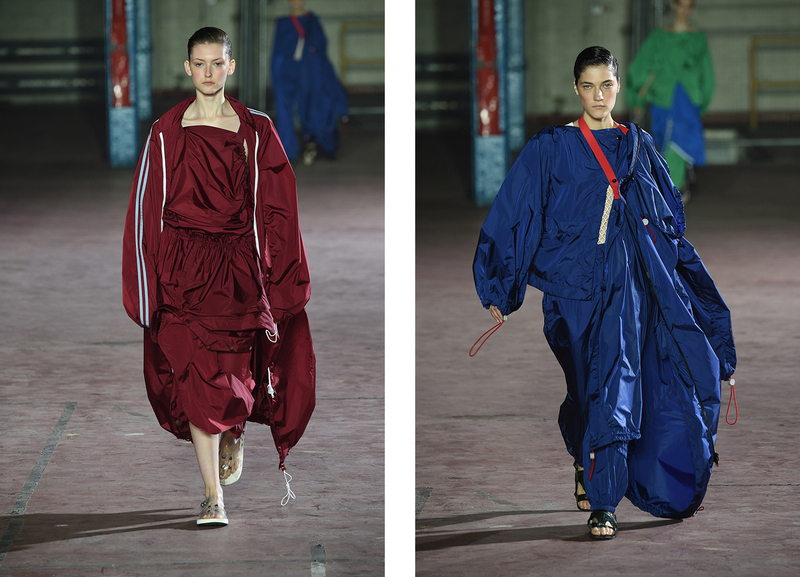 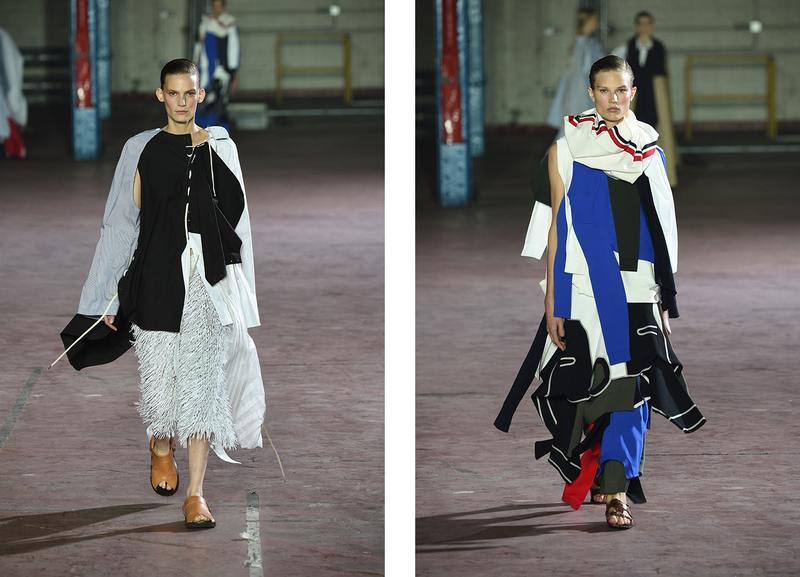 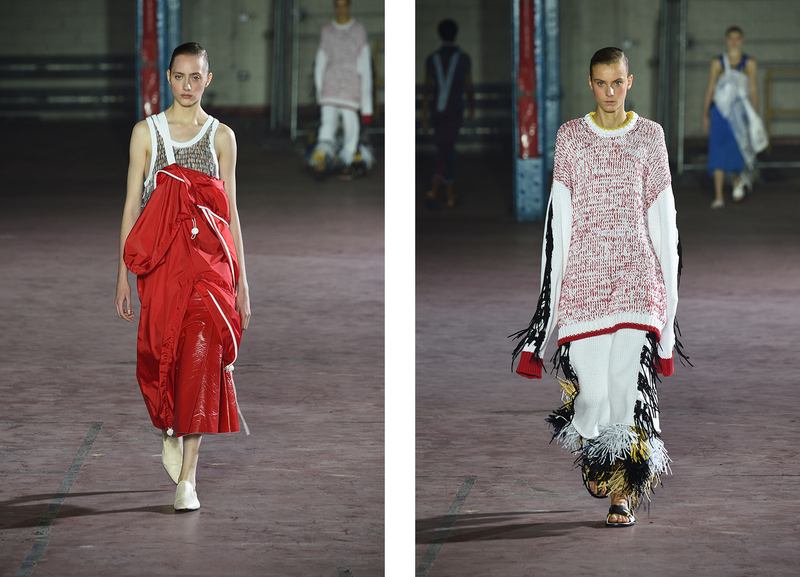 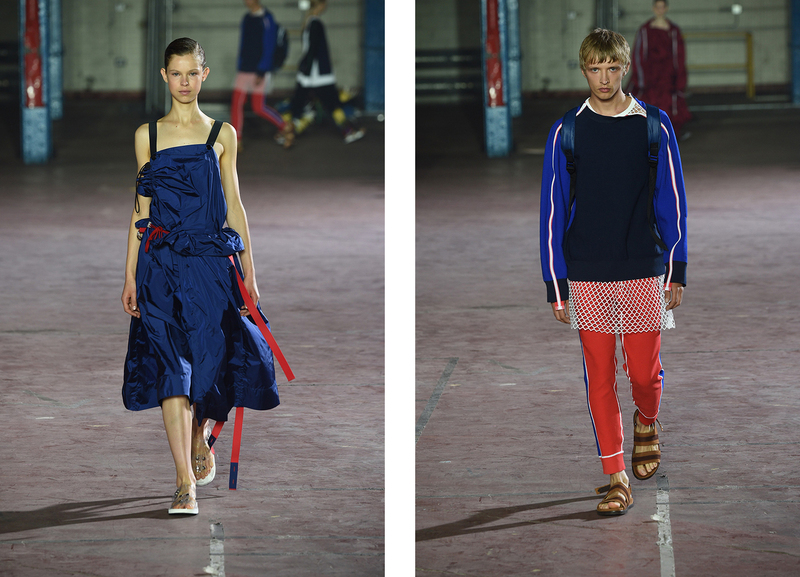 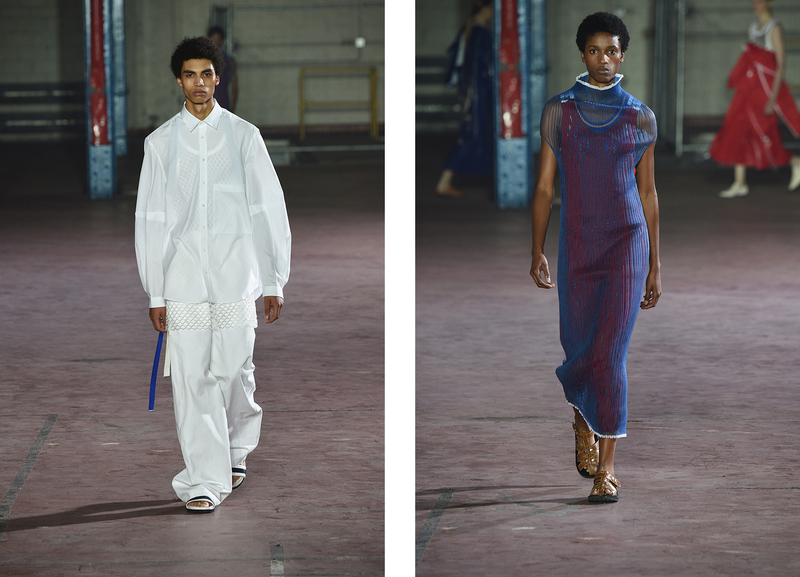 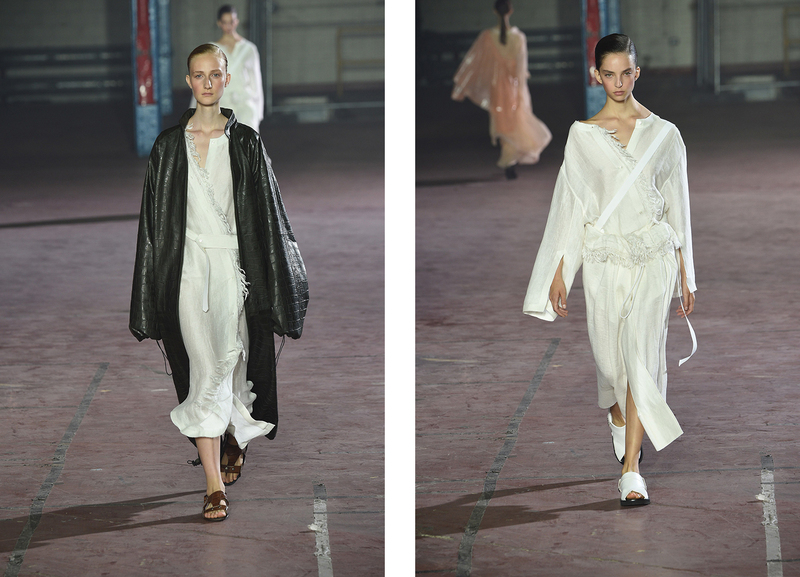 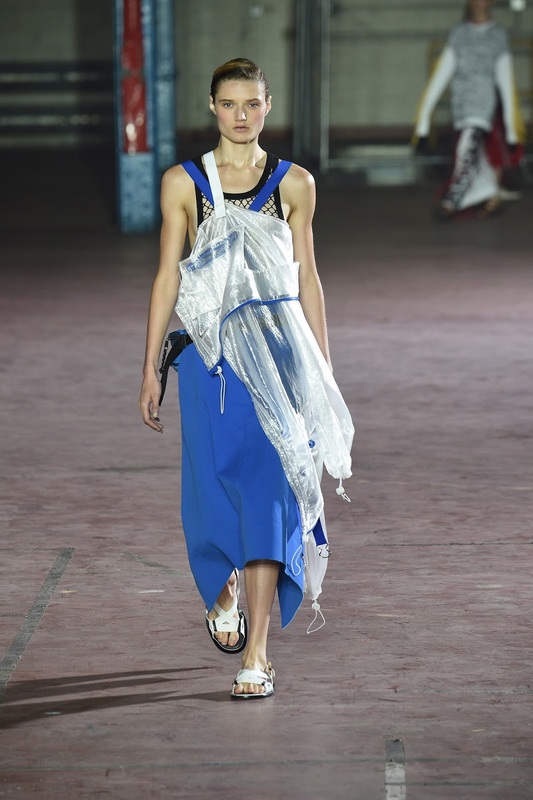 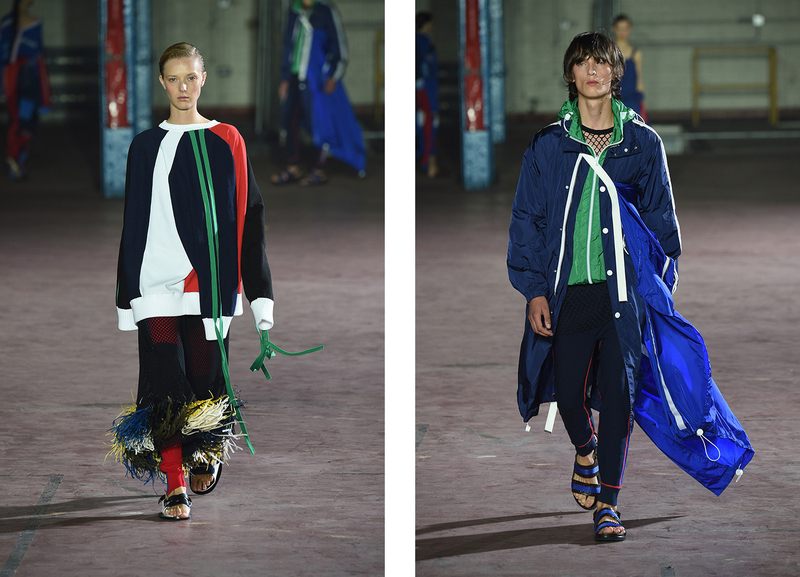 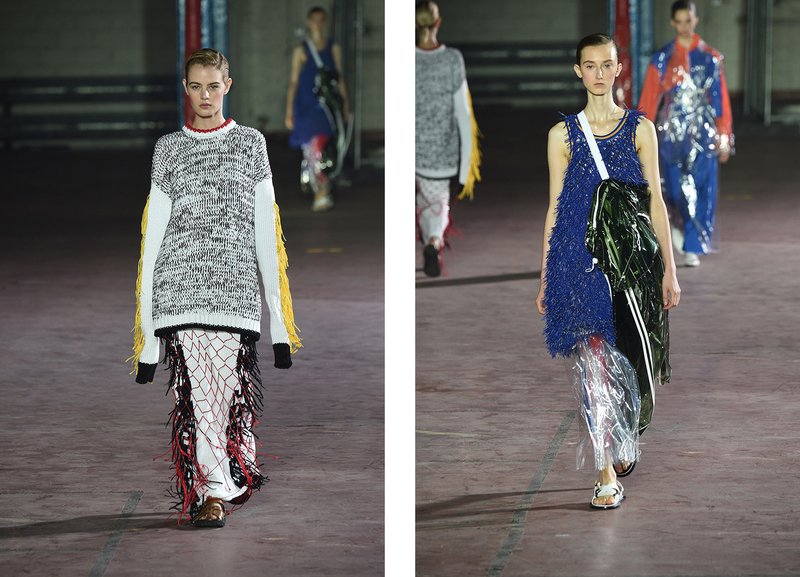 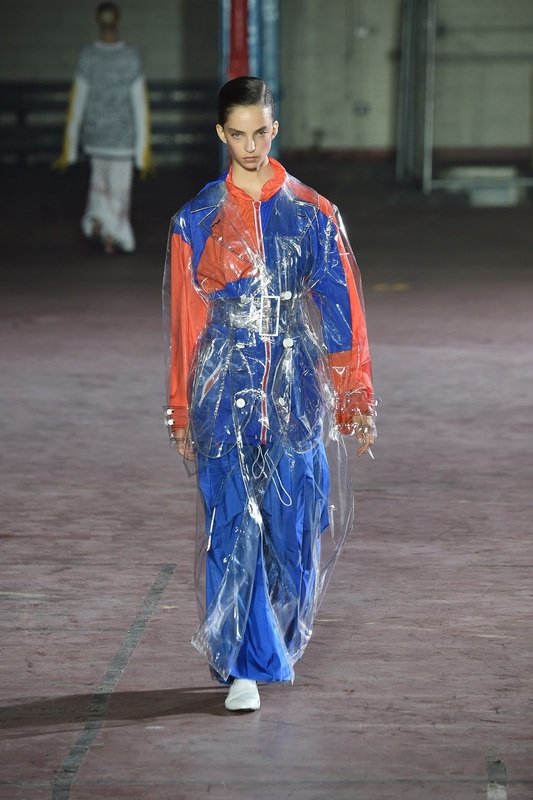 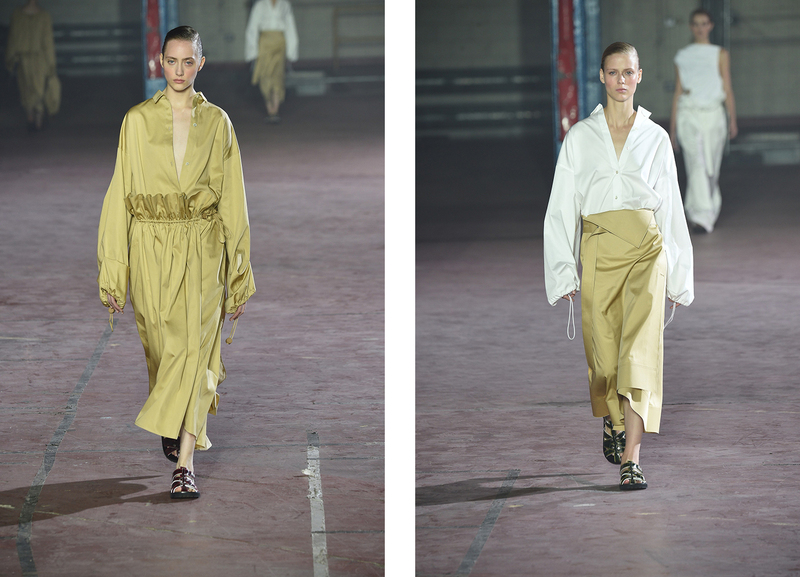 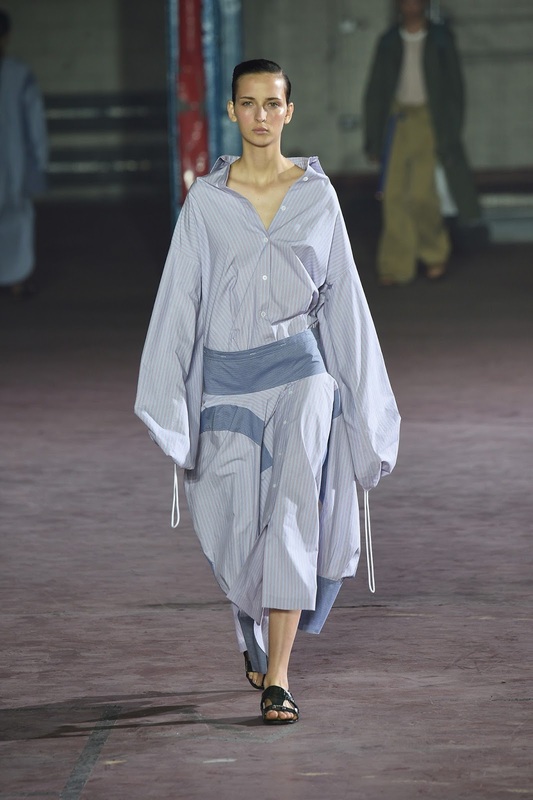 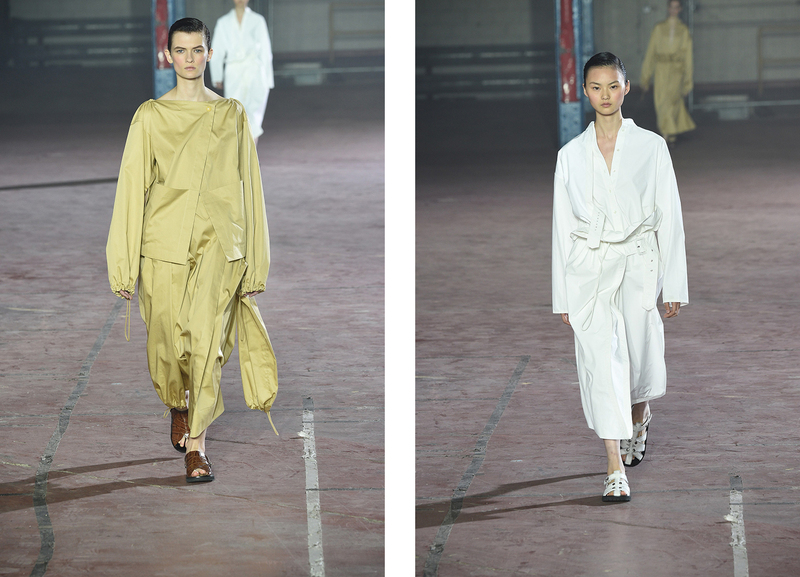 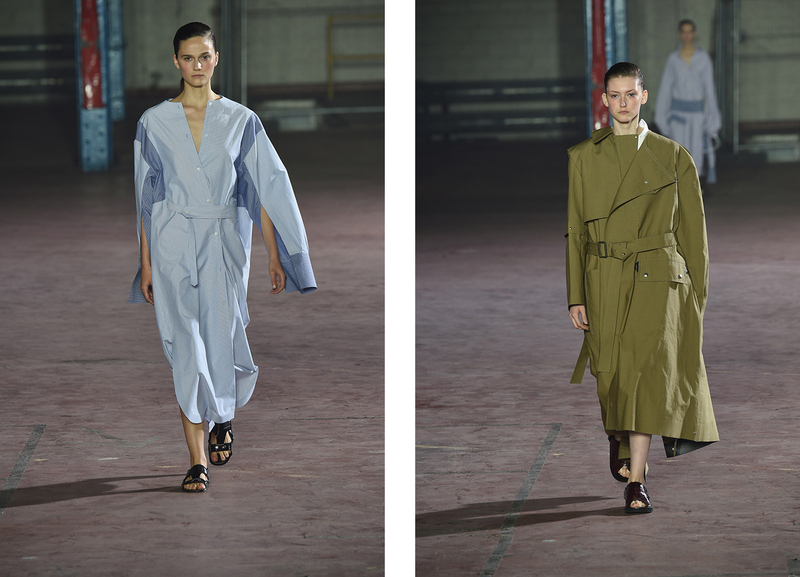 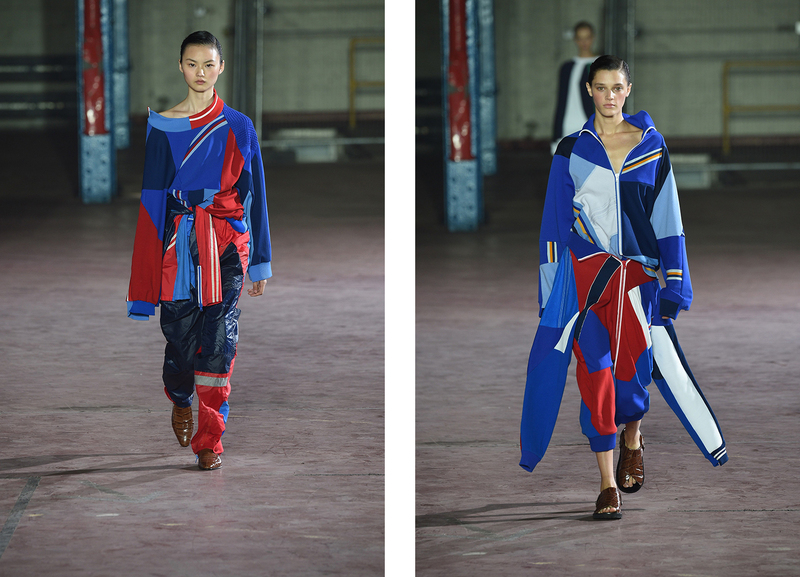 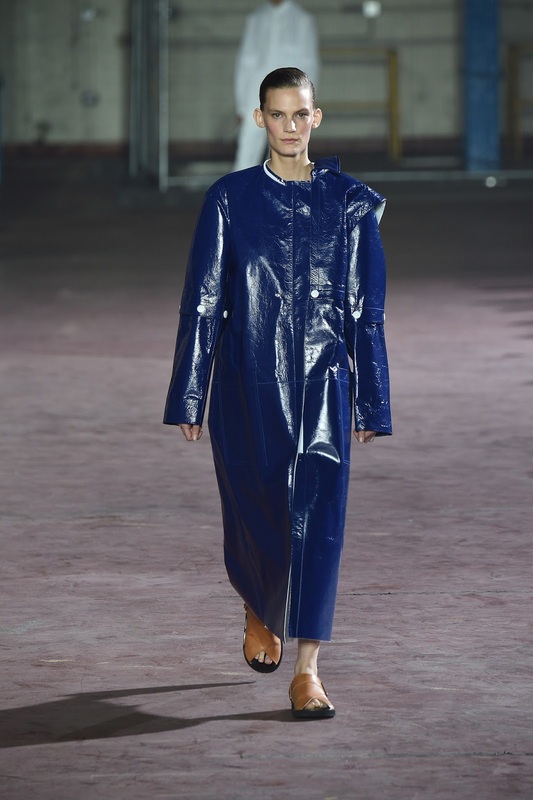 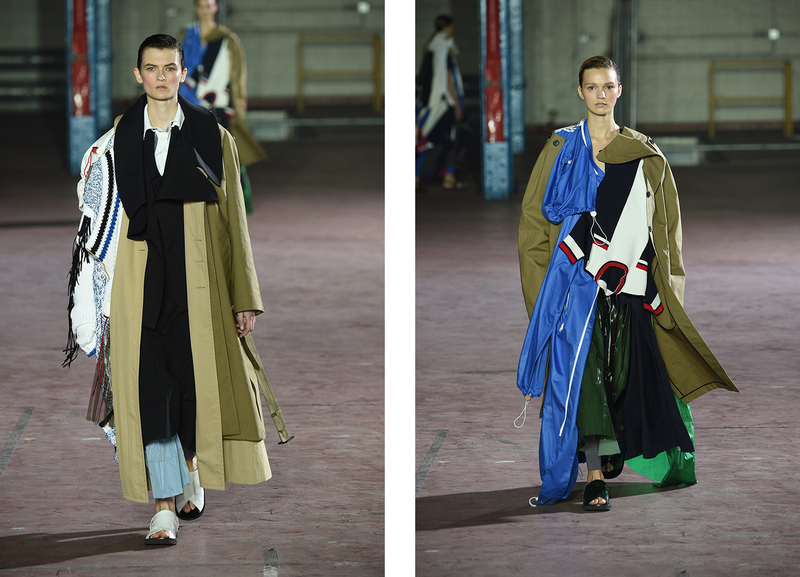 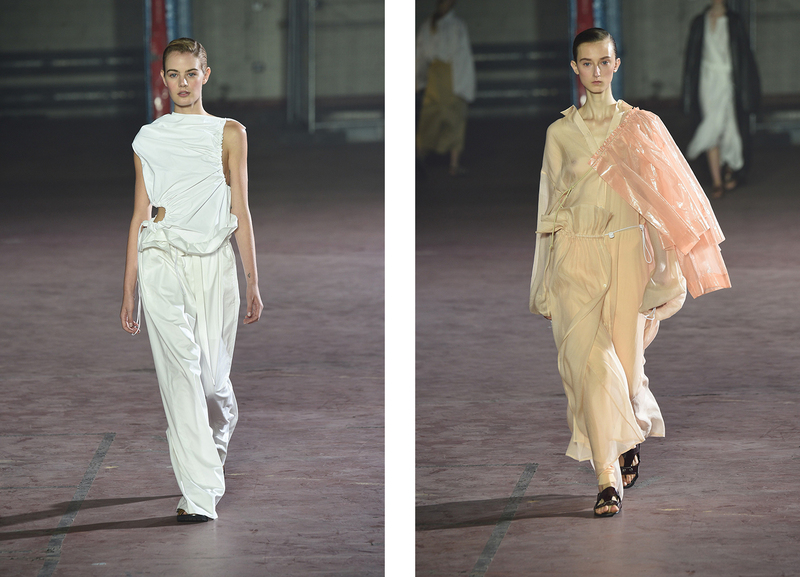 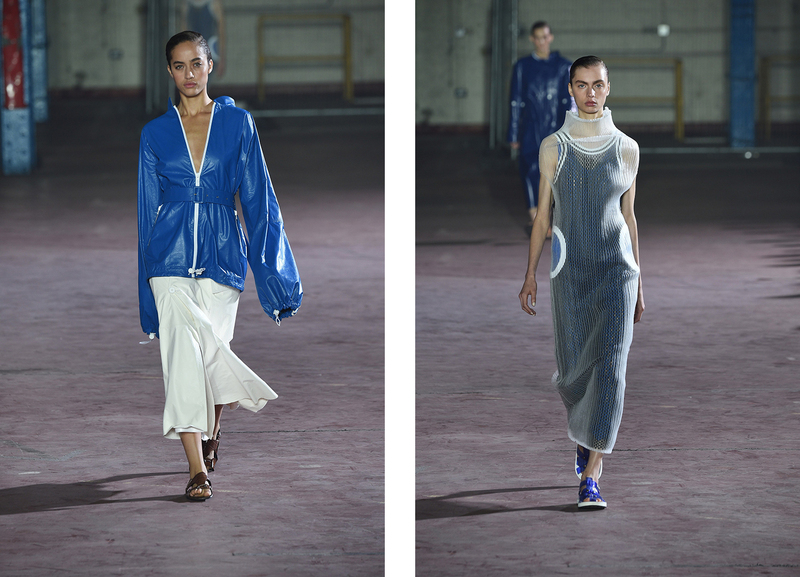 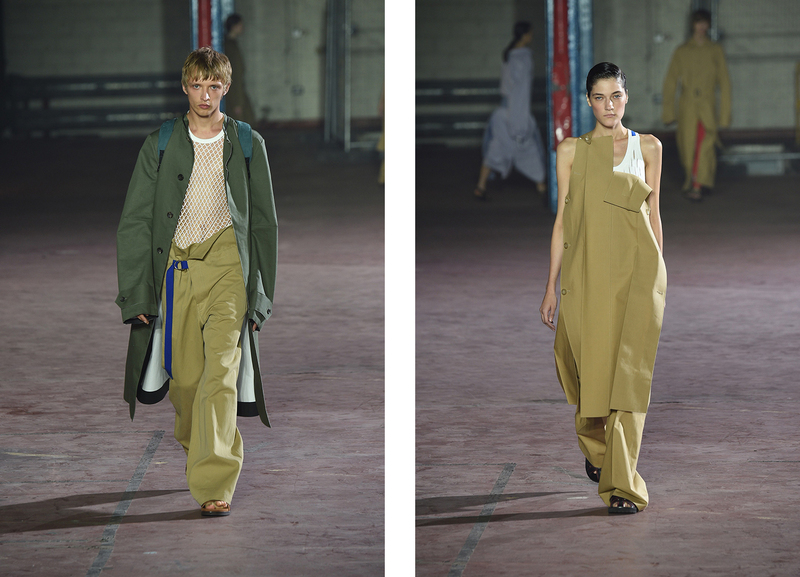 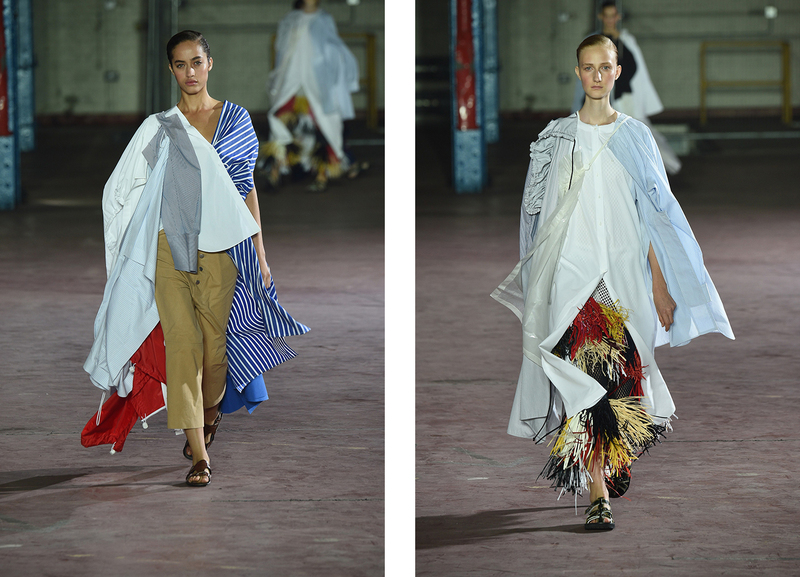 In an industrial estate, south of London´s Lambert Bridge, was the place where Louise Trotter presented her striking, minimal slash quite avant-garde collection for Joseph. 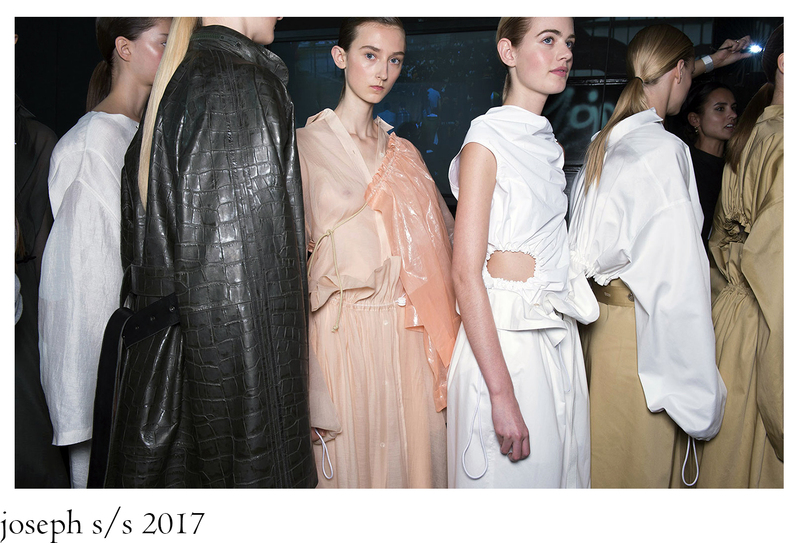 Her woman for the upcoming summer season could be described as a modern, urban nomad, where uniform, utilitarian world meets cultural tribes. 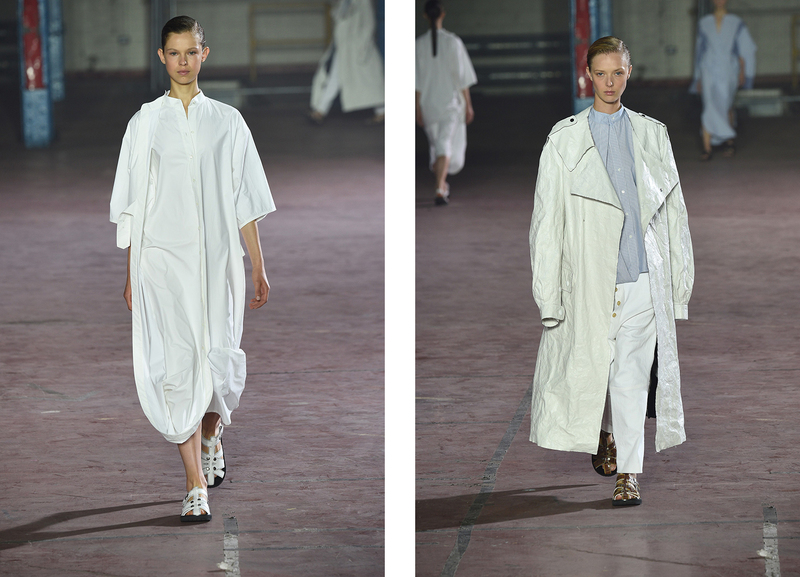 Trotter masterfully reinvented those classic pieces, brand staples that everyone know and have, like good tailoring, trenches, great-quality shirting and knitwear, not to mention sportswear elements like tracksuits, by playing with exaggerated volumes and proportions, giving to these sometimes too rigid classics a freshness, a new soul, regardless if it´s about khaki chiffon trenches, wrap skirts, apron dresses, transparent-plastic pieces or parachute-like multi-layering of multi-pieces dressing.